Naruto Sasuke Sakura. .... Wallpaper and background images in the Naruto - Shippuden club tagged: naruto shippuden sasuke naruto shippuden anime pein of akatsuki akatsuk sakura. 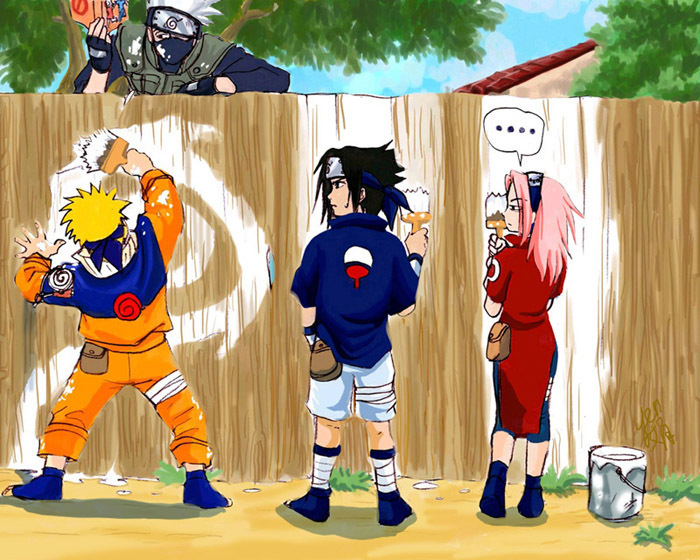 omg he is supose to paint the fence lol........ lol naruto lol..
lol i guess he knows what he's doing!! Leave it to Naruto to make painting a fence interesting.